The Internet has become a very powerful tool to help businesses of all shapes and sizes grow and market. At SNB Data Technologies, we have been working hard to stay up to date on all things internet and web site development. Our web design portfolio shows example web sites that we've created that are responsive, mobile friendly, fast and reliable. By clicking on the images or the links below, you can visit our works in real-time. Contact us today if you have questions about any of the web sites we've created. We'd be happy to answer any questions you may have. 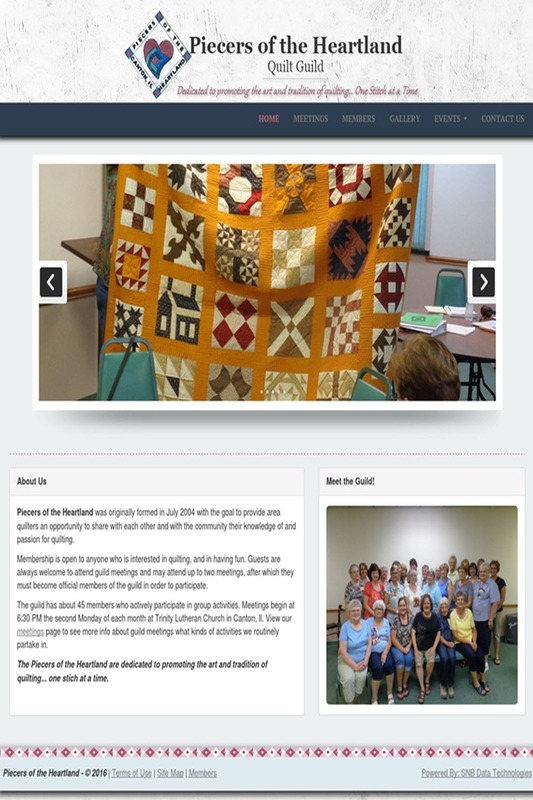 Piecers of the Heartland was originally formed in July 2004 with the goal to provide area quilters an opportunity to share with each other and with the community their knowledge of and passion for quilting. Membership is open to anyone who is interested in quilting, and in having fun. 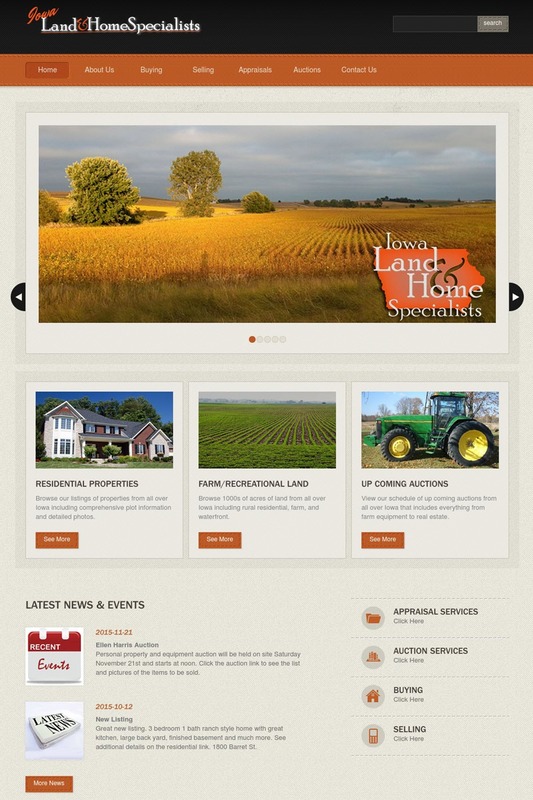 Iowa Land and Home Specialists is a leading real estate group from southeastern Iowa based in Mediapolis. They focus on all of your real estate needs including appraisals, auctioning services, residential listings, and farm and recreational properties. They are the experts in Southeast Iowa real estate. 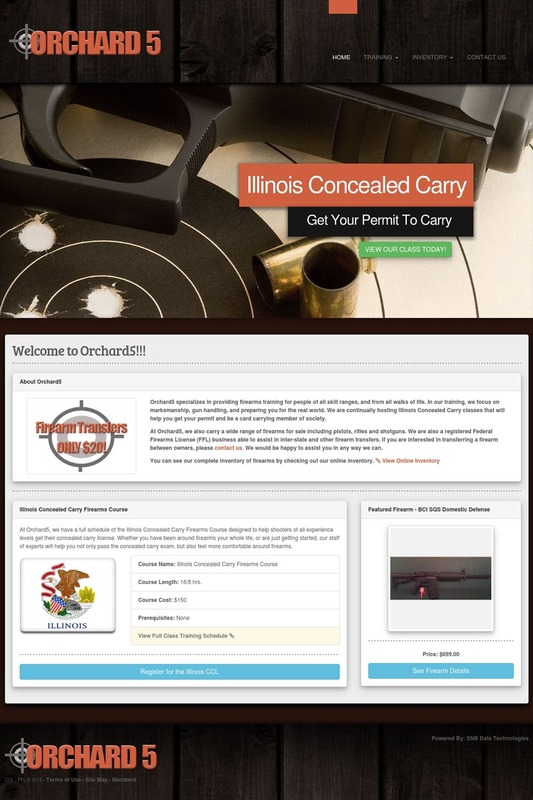 Orchard5 specializes in providing firearms training for people of all skill ranges, and from all walks of life. In Orchard5's training, they focus on marksmanship, gun handling, and preparing you for the real world. Orchard5 strives to make you as comfortable as possible by hosting classes for women only and veterans. It's A Ruff Life doggy daycare is a daily daycare and boarding kennel for you to bring your dogs while at work or away from home . 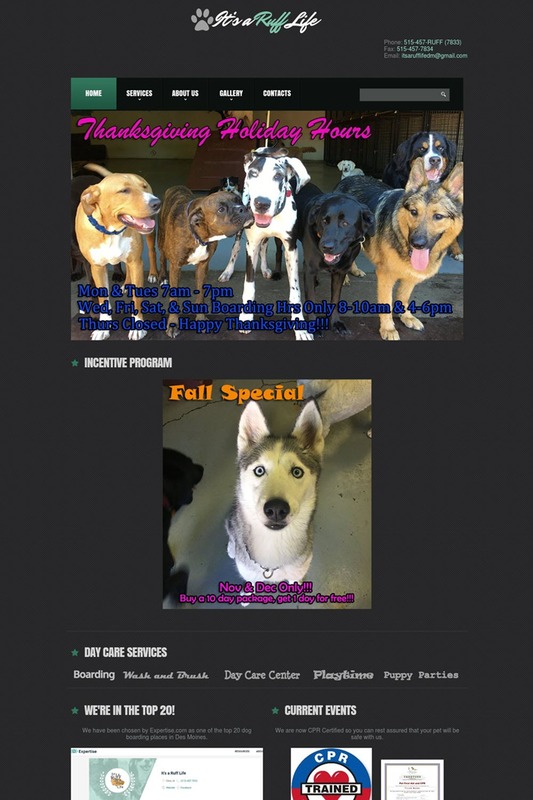 Located in Clive near Des Moines, they offer a wide variety of services focused around your puppy including bath and brushes, full service grooming, and daily walks. 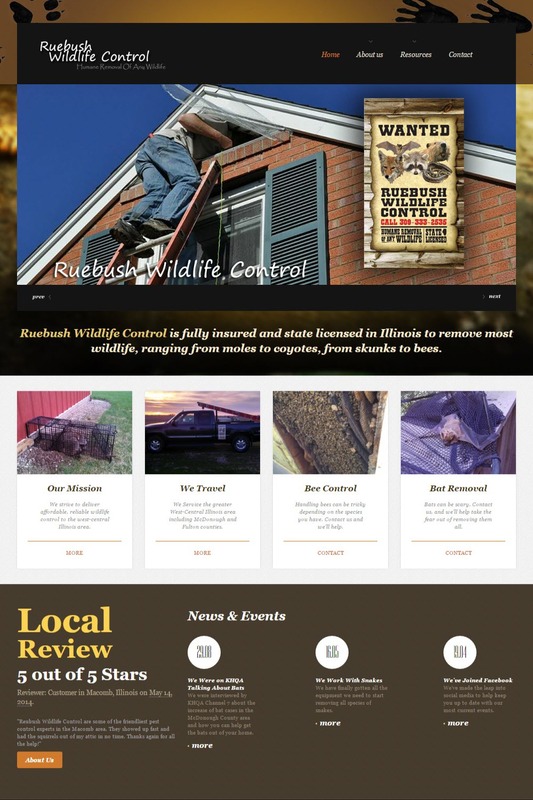 Ruebush Wildlife Control is fully insured and state licensed in Illinois to remove most wildlife, ranging from moles to coyotes, from skunks to bees. Their mission is to bring affordable, reliable wildlife control to the greater west-central Illinois region including areas like Maccomb and Fulton County. 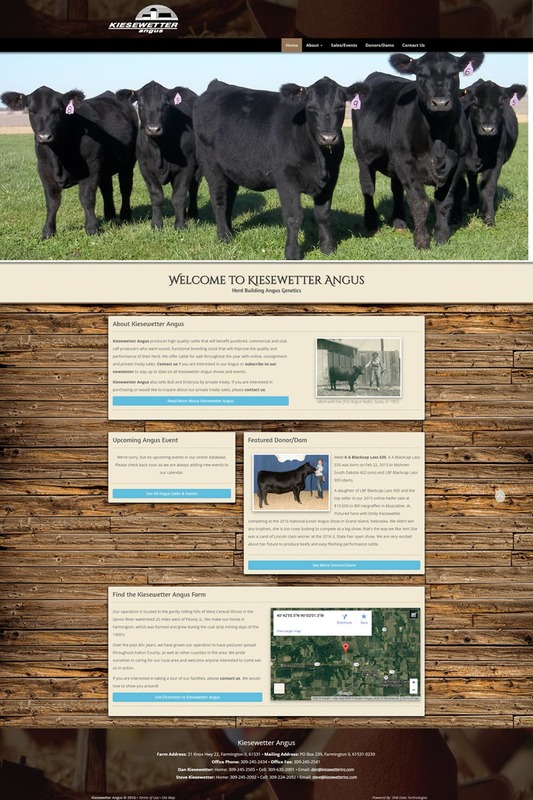 Kiesewetter Angus produces high quality cattle that will benefit purebred, commercial and club calf producers who want sound, functional breeding stock that will improve the quality and performance of their herd. They offer cattle for sale throughout the year with online, consignment and private treaty sales.